Welcome to ISE 2016 in Amsterdam, a world of connected and smart audio devices! 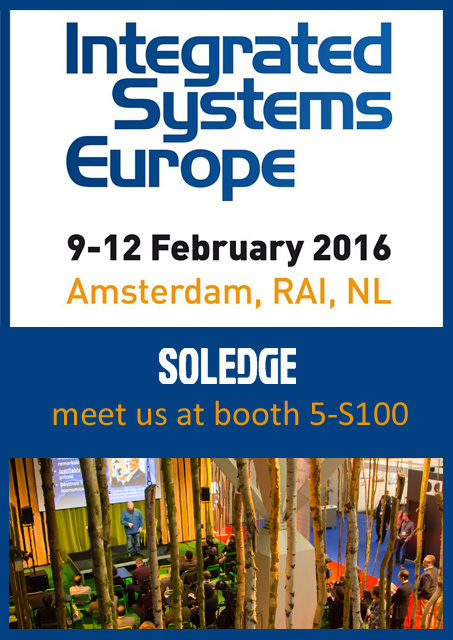 We are glad to welcome you to our booth at ISE 2016, to discover and experiment our latest offers and services. ISE 2016 is one of the world’s largest AV system integration and unified communications event. It provides a definitive four-day showcase of how AV systems are converging with IT infrastructures. Whatever the application, ISE acts as a showcase for technologies that will enhance the end-user experience.